The snow in New Hampshire can get quite deep in January and February. This January has been particularly brutal. Snow storms have come every few days dropping anywhere from 6 to 18 inches at a time. There is at least two feet of snow on the ground, deck and roofs and the temperatures have remained pretty much below freezing all of January. 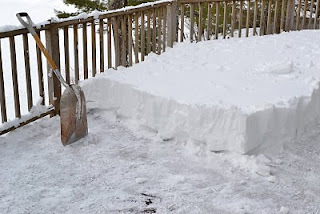 Consequently shoveling snow from decks and roofs is wise to provide egress and prevent roof collapses, respectively. In addition, shoveling snow off roofs can prevent ice dams. Shoveling snow from decks can also help prevent them from collapsing or pulling away from the home. Due to so many snow storms this winter the snow is stacked in a number of layers with the top layer being light and fluffy and the underlying layers being dense and heavy. 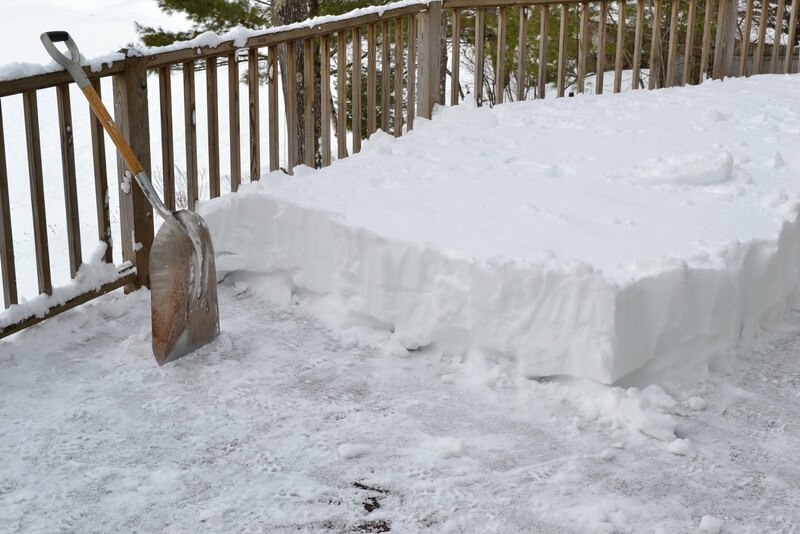 I spent much of yesterday morning removing nearly two feet of snow from our lake home’s deck. While shoveling the snow from the deck you can really see the layers and get a better understanding on how snow avalanches occur. The top light layers of snow can simply shear off the denser deeper packed snow. After about 2 hours of heavy work I was able to shovel off the snow from our deck. No doubt I got a full upper body work out. It’s best when shoveling snow of this depth to remove it in layers and to take your time. This way your don’t break you back and cause a heart attack. Hopefully Mother Nature will show a little kindness in February and provide us with some warmer and drier days. 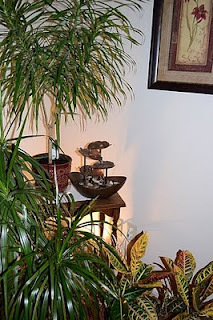 Today I launched “HouseSight” on www.HomeAdditionPlus.com. HouseSight is a social networking community for DIY home improvement enthusiasts and contractors to share their home remodeling project experiences and knowledge. 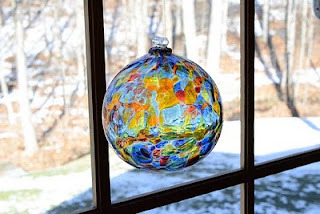 It’s also a great place to get ideas for your next home improvement project and ask fellow registered HouseSight members questions about their particular home remodeling project. HouseSight registration is easy, and best of all, it’s free. For a full description of HouseSight please see the HouseSight Launch Press Release. Based on reports from the housing convention held last week in Florida, the chillaxing Y generation says no thanks to mom and dad’s old school home styles and values out in the burbs. Instead, they prefer the large crash pad in the city where they can hang out, party and chillax with their friends. The Y generation demographics consist of about 80 million American youths who were born in the 1980s and 1990s. 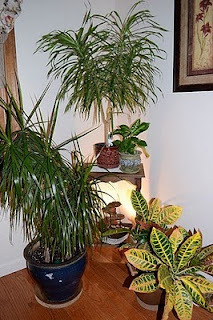 Between the great recession and their affinity towards technology, social networking and gaming, their interest in tending a yard and managing a large home just isn’t there, at least not for now. Consequently, with a population that is even greater in size than the baby boomer generation, they’re a large residential building market opportunity for the savvy builder and investor. The secret though to winning their hearts and business, is understanding their needs and producing something that they can afford. With their limited savings and income, simplicity and convenience are ultimately the key ingredients in their housing requirements. So what are the living space requirements of today’s adult youth? In a nut shell, large open concept spaces where the technology and food court meld into one. The word “kitchen” just sounds too old school, and a futon in front of the entertainment center is sufficient enough for doubling as a bedroom. Off to one side of the main living area, a simple bathroom consisting of a toilet, sink and shower, period. Soaking tub not required, although a Jacuzzi off the back deck or patio maybe a nice bonus. Also, one large storage area for storing the skate board and bike is a must. That’s about it, and quite frankly all they’ll be able to afford, at least until the U.S. economy markedly improves and they desire to take on more responsibility. More snow is on the way for tonight and tomorrow here in New Hampshire, and I’ve finally decided to fix the cracked ceiling in my family room, for good this time. I expect much of tomorrow to be split between snow blowing and shoveling, and installing trim along the roof peak in my family room. The snow I’m all prepared for. The snowblower is in tip top shape, I’ve got plenty of gas and the deicing salt is ready to spread. It’s the cracked ceiling that I need a little more prep time, or at least enough time to make a few measurements and get to Home Depot and pick up some pre-primed 1-by lumber. The crack ceiling runs along the entire length of the peak of my cathedral ceiling. The crack comes and goes with the seasons and with the amount of snow on the family room addition roof. I’m convinced it’s a framing issue that is the source of the recurring crack, and there is not much I can do about it at this point other than to hide the crack with a piece of wood trim. I’m convinced if I simply re-tape and mud it, it will reappear in short order. So my goal is to cut a narrow piece of 1-by lumber to length, and then cut the edges at the roof pitch angle to create a narrow flat surface along the peak of the cathedral ceiling. I’ll then paint it a flat white, as is the rest of the ceiling, and hopefully end my cracked ceiling woes for good. I’ll make sure to post some pictures pre and post the repair next week. Have you experienced similar ceilings cracks due to the winter cold? If so, how did you go about fixing them? With some spare cash in my pockets from the holidays, I decided to go out and buy a Nikon D3100 D-SLR camera yesterday for my home improvement website pictures. The D-SLR acronym stands for “Digital Single Lens Reflex” and basically it means that the camera produces much higher quality photos compared to the standard pocket size digital camera. To do this they incorporate high tech sensor technology including CCD and CMOS circuits, and much larger lenses than the standard digital camera. Consequently they are much larger, offer much more functionality, and produce much better pictures than small digital cameras with the same Megapixel specifications. I’ve been meaning to for some time to start taking some higher quality home improvement pictures and this new camera is just the ticket! It takes incredibly clear pictures and does so extremely quickly. Unlike my old camera, there are no missed shots with this one. After my family and I read the manual and charged the battery we began experimenting with it last night taking pictures of almost anything we pointed it at, including the night sky. The quality of the pictures is simply amazing. Even with a night sky background the images are crystal clear. It’s not surprising considering the fact that it has 14.2 Megapixels, a far cry from my old pocket digital camera with 3.5 Megapixels. 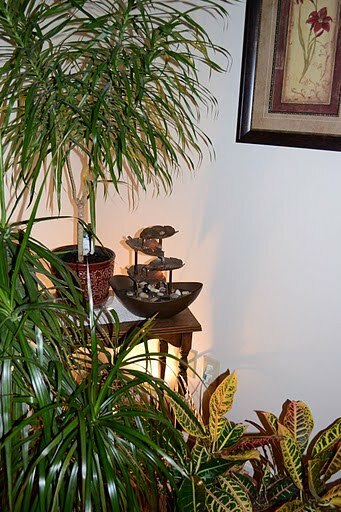 Besides taking stunning photographs, the Nikon D3100 can also film movies in full 1080p High Definition, so I anticipate using it too in some of my home improvement videos that I post on HomeAdditionPlus.com, and my various video channels. One of the nice things about D-SLR cameras is that you can mount different types of lenses on to them for wide angle shots or for objects that are far away. For now I only purchased the18-55mm f/3.5-5.6 Zoom-NIKKOR VR image stabilization lens, but my intention is to also buy the 55-200mm zoom vibration reduction lens in the next few months. 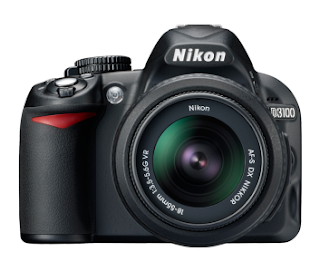 Nikon D3100 14.2MP Digital SLR Camera with 18-55mm f/3.5-5.6 AF-S DX VR Nikkor Zoom Lens to learn more about this great camera. 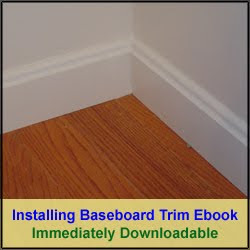 HomeAdditionPlus.com Announces "Installing Baseboard Trim Ebook"
HomeAdditionPlus.com's Unveils its Latest Product, the "Installing Baseboard Trim Ebook"
I just released my new "Installing Baseboard Trim Ebook". It is chocked full of helfpul tips and secrets on how to install baseboard trim like the pros. The Ebook is 18 pages long and loaded with easy-to-read instructions and supporting photographs to enable the do-it-yourself homeowner to install his or her own baseboard trim, and avoid the high costs of hiring a finish carpenter. The "Installing Baseboard Trim Ebook" includes information on how to measure and select baseboard trim, as well as reviews the various types of baseboard trim on the market today. 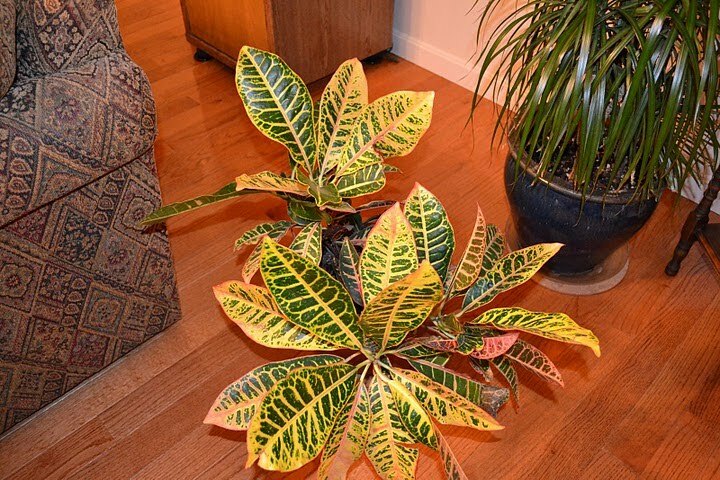 In addition, it provides detailed instructions on making the various miter joints necessary for achieving a professional baseboard trim installation, including how to make coped and scarfed joints. The "Installing Baseboard Trim Ebook" also explains how to deal with transitions changes from room to room and from different floor heights. The "Installing Baseboard Trim Ebook" is currently priced at an introductory offer of $15, so make sure to purchase it today if you have baseboard trim installation plans in the near future.